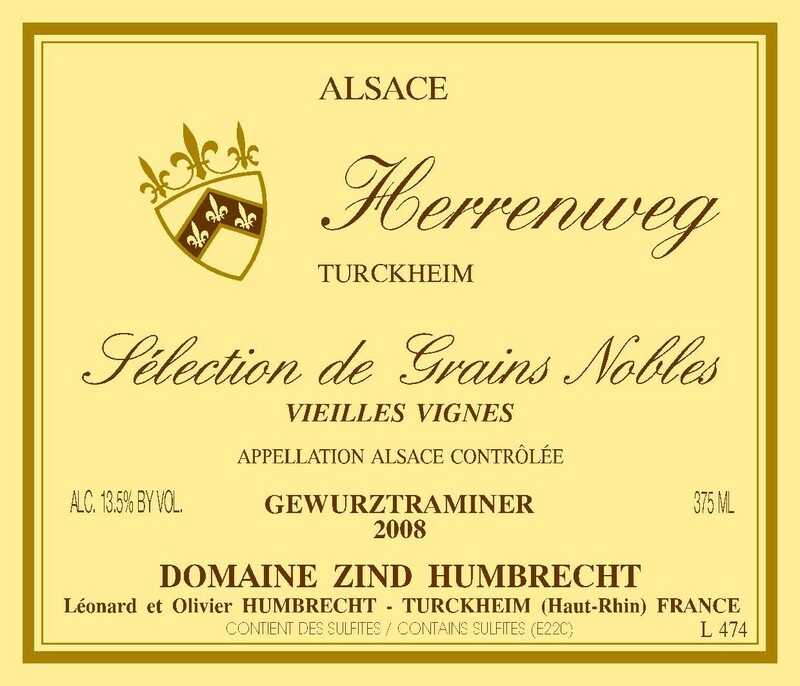 This particular plot in the Herrenweg is the one that has already produced a special Vieilles Vignes wine in 2006 and 2007. It is located just next to our offices. The special ripening season in late 2008 allowed for some spectacular noble rot development in this vineyard. In fact, we didn’t have to select berries or even clusters. This was a whole harvest! Almost 75% of the grapes were fully concentrated by botrytis and the wine became one of the easiest to harvest SGN that I ever had the chance to do. At first, I wasn’t sure if this vineyard would be able to stand the power. The last time I attempted to do an SGN in the Herrenweg was in 1986 and I wasn’t convinced. In 2008, we are talking about a completely different wine that doesn’t need to be ashamed in front of many greater vineyards. The older vines and bio-dynamic farming have managed to give a strong mineral character to this vineyard. 2/2010: the nose shows powerful classic Gewurztraminer aromatics: roses, litchi, spices and light toasted botrytis aromas. The palate is very long, powerful and is boosted with lots of well integrated sweetness. There is an immediate sense of pleasure in this wine and it is probably very easy to understand and will surely be very enjoyable at the time of release in September 2010.